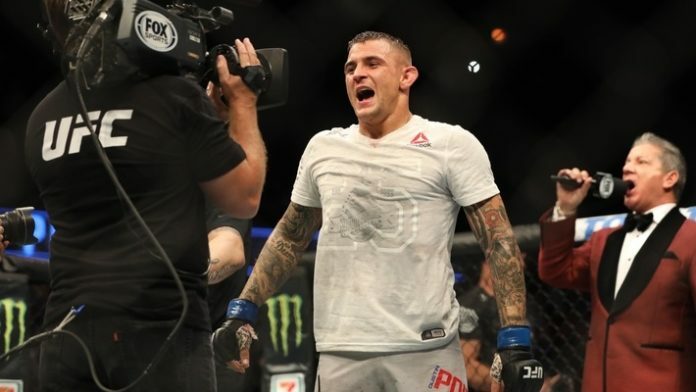 Top-ranked UFC lightweight Dustin Poirier to UFC: put gold on the line, open up your checkbook, or don't even bother calling my phone. Dustin Poirier is growing impatient. “The Diamond” hasn’t fought inside the Octagon since his July TKO victory over Eddie Alvarez. He’s currently on a four-fight win streak and is looking for a big match-up next. For a while, Poirier was slated to face Nate Diaz in the co-main event of UFC 230 in November. Unfortunately, an injury to Poirier forced him off the card. Who do you think Poirier will be matched up against next?